"Murphy's poems bounce right off the page." Which King trained his pet monkey to give rude gestures? Which ruthless Queen enjoyed toasting people to a crisp? Whose reign lasted only nine days? 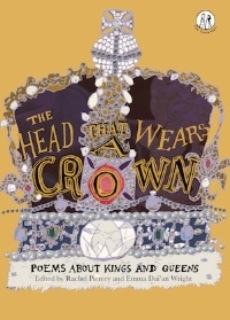 The Head That Wears A Crown is a captivating collection that features the Kings and Queens of the British Isles as you've never seen them before. Includes my poems "Queen Maeve Rules! ", "Conn Of The Hundred Battles" and "The Brian Boru Burger". 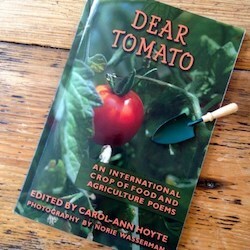 Bursting with flavor and just the right infusion of insight, Dear Tomato: An International Crop of Food and Agriculture Poems presents a collection of poems from thirty-four writers on the most universal topic of all: food. Features a wide assortment of styles, from haiku to acrostics to free verse. Includes my couplet "Free Range". A wonderful collection of poems that are easy to remember and perfect to recite out loud. New, modern and classic poems, ranging from very short to long. 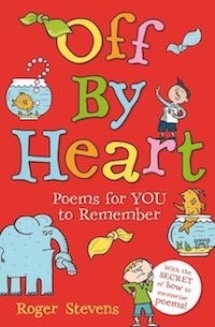 The book also includes tips for readers, teachers and parents on how to memorise poems and on performing them out loud. Perfect for the memorising and performance elements in the new primary National Curriculum. Aimed at readers aged 5+. Includes my poem "Doggerel".